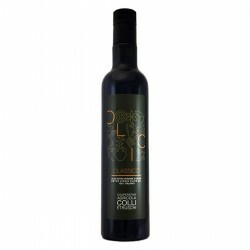 The Extra Virgin Olive Oil Cru Maina Sommariva is an unpitted extra virgin olive oil 100% of high quality manufactured by a cold press in the meaning of Regulation U.E 1019/02, in limited quantity, from the best olives of the exclusively quality 'Taggiasca'. 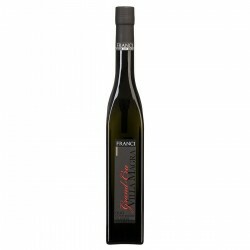 to the taste it is perceived mildly bitter and pungent with pleasant reminding of artichoke and herbaceous notes. 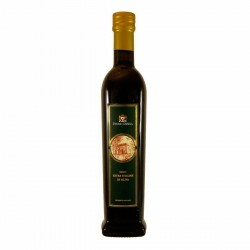 featured by low acidity, it is ideal to be drizzled on delicate dishes. The ancient mill Sommariva in 2015 is celebrating its 100 years. 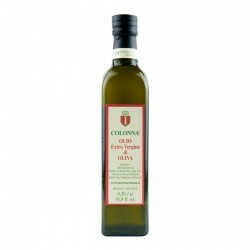 Is a family run Company that serves Ligurian cuisine for over 40 years. 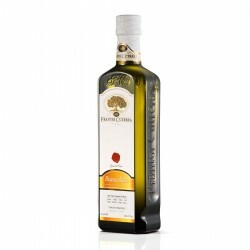 Sommariva was certified organic in 1972, among the first Italian companies. 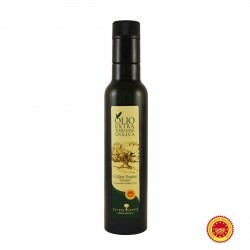 The extra virgin olive oil and other organic products are produced directly by careful control of the entire production process to ensure high quality features. Always directly Sommariva company are produced rocket BIO, the organic PDO Genovese basil and olives, which are transformed in the family workshop in Pesto Genovese BIO, BIO Rocket Cream and of course Organic olive oil. They are all products of the highest quality mentioned several times in various competitions and in magazines. The ability to have complete control over the production chain allows him to follow in detail the preparation of the products, and is a further guarantee of the authenticity of their products. The products are delivered to the carrier within 24 hours. Orders are delivered in 4 or 5 working days. Deliveries are made on weekdays from Monday to Friday from 9:00 to 18:00. The packaging used for shipments are very safe and reliable, recommended and validated by couriers. We accept VISA, MasterCard. Payment is through PayPal secure server (SSL 128 bit). Your credit card data will not be known to us as entered directly on the secure server of Paypal. SSL is a Secure Sockets Layer, the most widely used security protocol, whose main duty is to ensure the confidentiality and reliability of communication between your computer and the buyer's bank's server through 128-bit data encryption . Paying by PayPal after the order is confirmed, will redirect to the payment site Paypal. On the Paypal site you will be able to pay directly with your credit card, clicking on the link "Do not have a Paypal account?". The American Express card holders will be able to use this option. PayPal one of the most popular payment method that allows you to protect your credit card information through industry-leading security and fraud prevention. 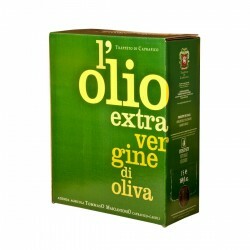 With this method of payment OliveOilsItaly.com must receive payment before shipping the goods. Payment must be made no later than 7 days from date of order. After that time, the order will be automatically canceled. The purpose of the bank should include: order number, date of order and name of the customer. Once you made your order, you can check its status at any time in the appropriate section of your account.